How to Manage a Stock Portfolio? Retails investors often trade in stocks without understanding the deeper implications of their buy or sell decisions. When you invest in stocks, you implicitly are building a stock portfolio. Here is a set of actionable steps that you must keep in mind to help you with building your stock portfolio. Just buying stocks in 1 or 2 companies is not enough. You could be taking on too much risk through a concentrated portfolio, akin to putting all your eggs in one basket. Ideally, your portfolio should have no more than 20-25 names to give you the benefits of diversification. However, this also does not mean that you can have just say 5 shares of one company and 2 shares of another, because that is all you can afford because you can’t create wealth through just purchasing a handful of shares in a company. Good stockpicking is about knowing how to allocate your capital efficiently across your best ideas in a diverse portfolio. While one investment strategy is to buy and hold, that does not imply that you do not manage your exposure by ignoring your portfolio. Market prices move, sometimes dramatically. As a result, you might have too much or too little exposure to one sector or stock. Avoid this by being disciplined about setting aside some time to review your exposure. This will help you understand if you need to trim or add to the exposure to a certain sector or stock in your portfolio and take care of risk management. Formulate your own rules for when to buy or sell a stock based on an investment philosophy that you can be disciplined about. Don’t just follow the herd or come under peer pressure. What is good for others might not be suitable for you or your portfolio because your risk, investment criteria, tax situation and entry price might be different. If a stock has met your price target, have some rules that guide you whether you will take money off the table or stay invested. If a stock is a constant underperformer, will you continue holding on to it because psychologically you are unwilling to admit that you made a poor decision, or will you be unemotional and make the rational decision to cut your losses and sell? This is one area where the professional investors stand out. They recognize that good investment opportunities come unannounced, but in order to take advantage of them they need to have cash available to make these investments. So make sure that you keep some cash available in your portfolio to pounce on these ideas. If you are fully invested, you might miss good opportunities due to lack of liquidity. If the above sounds challenging and tough for you to follow, then a do-it-yourself portfolio management is not recommended. 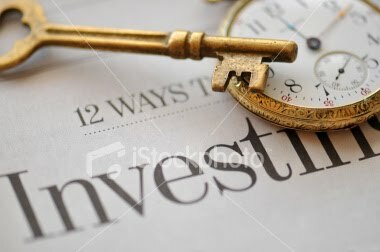 As an alternative you might be better invest in the stock markets based on equity advisor services with stock specific research and recommendations or you can invest through mutual funds, where you can take advantage of the resources and risk management skills of the professionals, rather than compete against them.